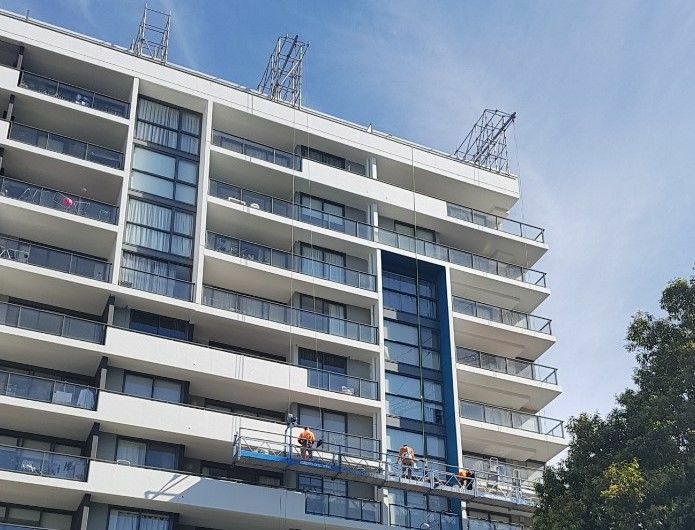 With 15 years experience in providing swing stage height access services throughout Sydney, NSW, and Australia, Alphasafe is a leading expert in the application of swing stage access. A swing stage is a 2 point suspended access platform which is typically supported by a free-standing counterweighted rostrum at the top. 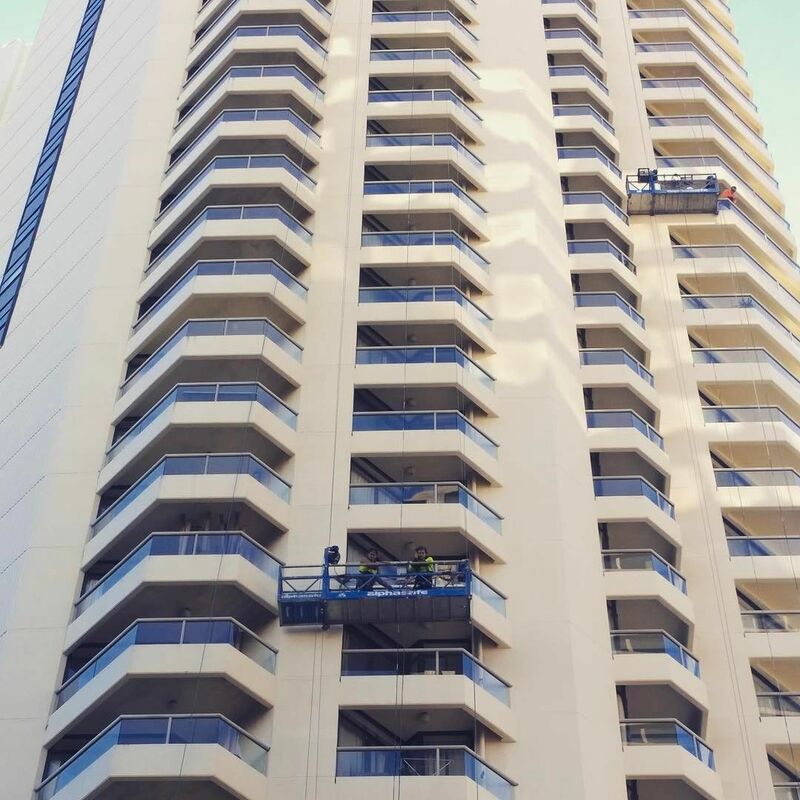 The platform has the ability to raise and lower to the required height by using a pair of electric traction hoists with flexible steel wire ropes running through the hoists. 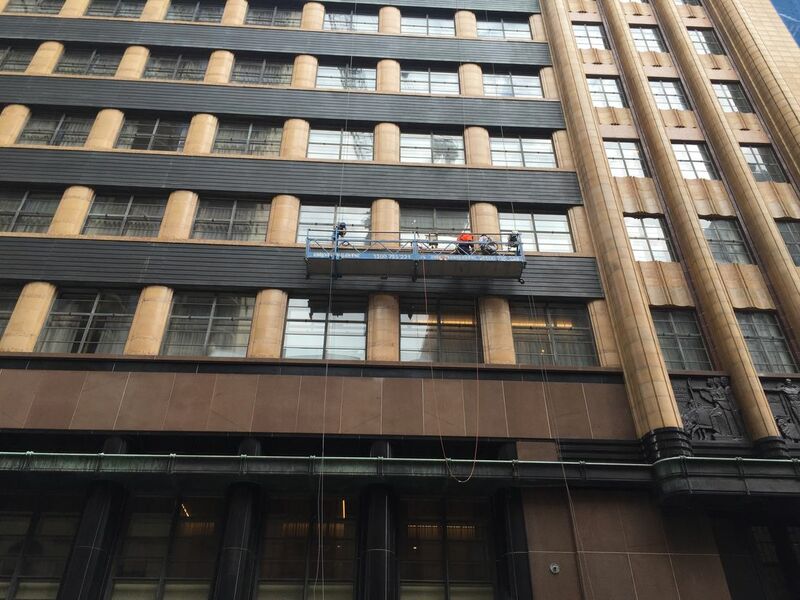 They provide a safe, fast and cost effective method of getting the right tradesman to the right point at the right time on your project whether it’s on a façade or within an industrial plant. 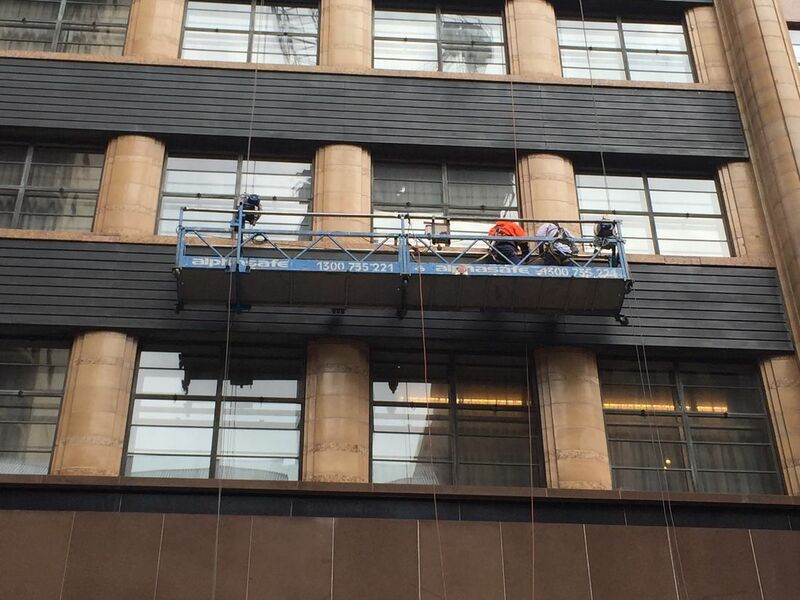 They achieve this without the need to install a scaffold or tie to a building, and they minimise disturbance to the daily operations of your building or project. Our extensive fleet of swing stages gives us capacity to service any project, and our experienced engineering team can develop innovative and safe solutions to the most challenging of access situations. Alphasafe have a strict maintenance regime with qualified service technicians at hand to provide support to all operators using the world famous Astro Traction hoists by Powerclimber. Our maintenance and inspection programme exceeds the manufacturer and Australian Standards requirements giving all operators peace of mind when using one of our systems. All servicing and inspection records are completed and recorded digitally and are available to every user at the start of the project. Think your project needs a swing stage solution? Not sure of the most suitable access option? Contact the team on Contact@Alphasafe.com.au to arrange a meeting.